This versatile Parcan will deliver high output flood lighting. It is very energy efficient and gives the light output (14000 lumen) similar to a Par 64 1000W, while only using 575W. 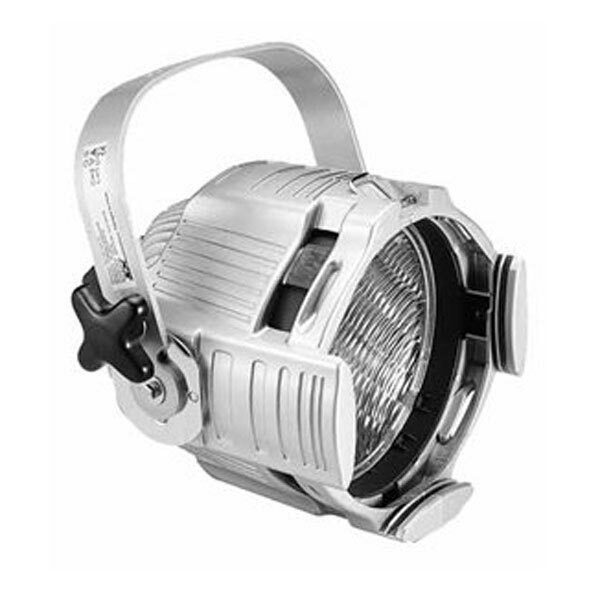 The 575 lamp (240V/575W) has a high light-output (14000 lumen) and a very white beam. Possessing a bright white beam, this Multi-Par comes with 4 interchangeable lenses: Pin Spot, Narrow Spot, Medium & Wide Flood for versatility.